The March Madness Bracket Challenge is back! It’s free to signup, just fill out the form below and watch ALL of the games with us at Cav’s Headhouse! Signup on the form below and look out for an email from CBS Sports on selection Sunday with Final Details. Remember that you only have 2 days to fill out your bracket! ALL PARTICIPANTS GET DRINK SPECIALS DURING ALL TOURNAMENT GAMES! March Madness is a phenomenon that grips the national sports psyche from the second week of March through the first week of April. March Madness is the moniker that is given to the National Collegiate Athletic Association (NCAA) Men’s and Women’s Basketball Tournaments. These tournaments determine the national champions of college basketball. The March Madness Bracket Challenge at Cav’s Headhouse is here for 2016! The last day to signup is March 14th, 2016. Signup on the form below and look out for an email from CBS Sports on selection Sunday with Final Details. Remember that you only have 2 days to fill out your bracket! The NCAA tournaments are an American tradition that sends millions of fans into a synchronized frenzy each year. It’s this chaos that gives the tournament its March Madness nickname. March Madness is the concentrated hype of 68 teams vying for college basketball’s biggest prize. It’s the last-second, buzzer-beating baskets, the euphoria of winning to play another day and the agony of losing and going home. 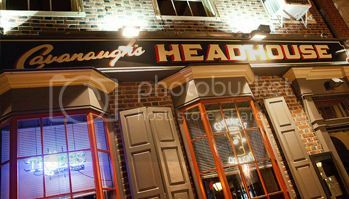 Founded over a decade ago the Cavanaugh's group is comprised of 4 Philadelphia locations including a Sports Bar in Rittenhouse, Irish Pub in the historic Headhouse, Waterfront Nightclub and a College Bar in University City. Known for unrivaled customer service the Cavanaugh's group always provides top tier entertainment and great pricing. If you're looking for a night out look no further than Cavanaugh's!